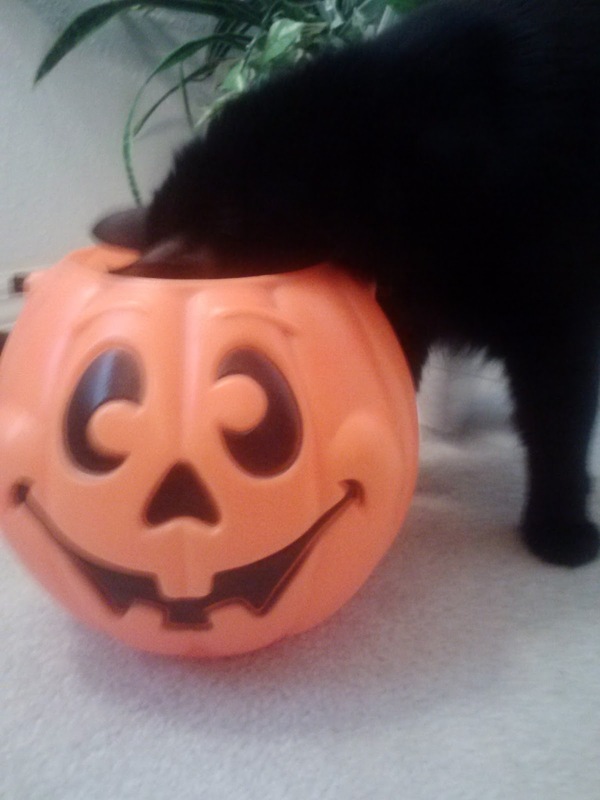 Tis the season for a black cat to act up around pumpkins. 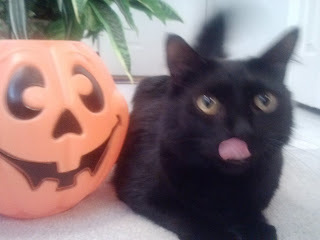 So here comes Mal the Krazy Kitteh, wagging his tail and licking his lips like a hungry panfurr this Halloween. 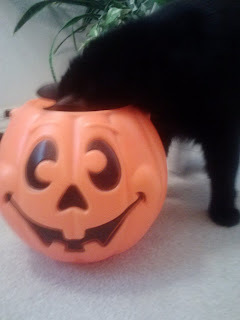 Someone wants to go trick or treating tonight. Last-minute hijinks before NaNoWriMo kicks into gear. Good luck tonight candy-seekers, see you next month! Who else is ready to start? Who else has their laptop and tablet prepped to type like a maniac at 1667 words per day? Is this the year I get a novel shelved at New York Public Library? Shall I write for you the dirty limericks of my peoples? What Did I Do To Upset the Canadians THIS Time? and I find that someone added this blog address (and in the Canadian format wittylibrarian.blogspot.ca rather than the .com of the GOOD OLE USA) to one of the comments. And the CBC news site has locked the Comments down, meaning I can't get on there to defend myself. Because I don't want to get into the middle of a fight between Toronto Blue Jays and Kansas City Royals fans. Listen up, Canada. I'M A TAMPA BAY RAYS FAN. Dear Heaven: That Red Hair Of Hers Is No Lie. You've Been Warned. Ever look up "Fiery Redhead" in a dictionary and you will get Maureen O'Hara. Without argument, the most beautiful redhead ever to grace the screen out of Hollywood. She stars in one of my most favorite movies ever, The Quiet Man. Just found out right now that Maureen O'Hara passed away after 95 years. I am seven years old again. I want this movie to be soooooooo good. 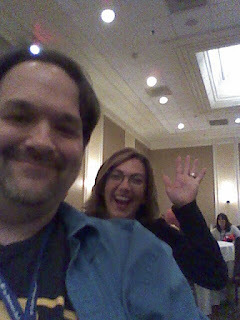 The presenters included a set of websites that would be of interest to the authors of the state of Florida, so I am including a few here. Check back later as I may have forgotten one or three and will update this page. 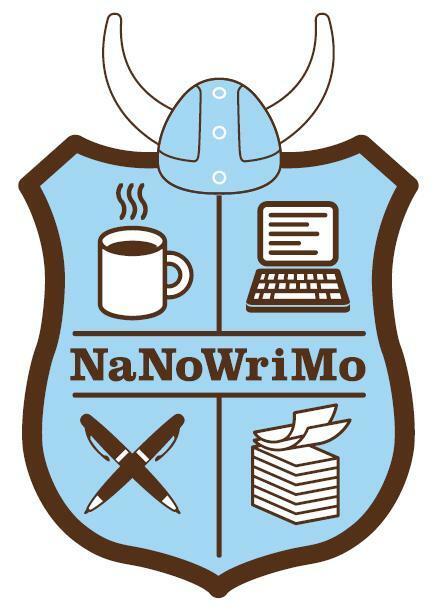 Oh, and I wasn't at that particular presentation but there was a class promoting the hell out of NANOWRIMO. 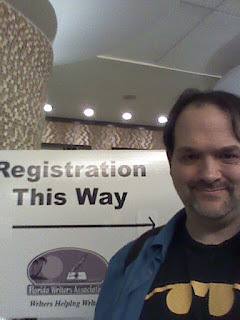 Tweet me at @PaulWartenberg or comment here if you can if you remember the other website services talked about at this year's conference! 1) the comma is dead, unfortunately. ...I should also include ellipses, sad but true. 2) I was the only one to show up with a comic book character's logo on a t-shirt. 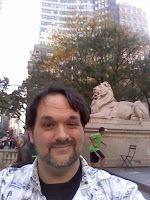 3) there's a lot of things I can do to improve the odds of getting published. 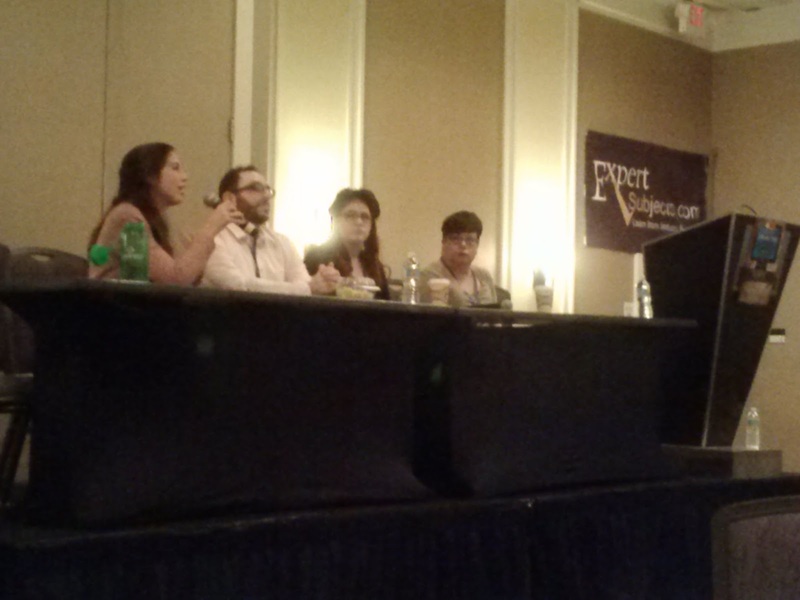 I sat in on the discussions involving the importance of networking, from there a session discussing the many literary magazines out there and the tips on successfully getting published with MAYBE one of them. Maybe. I participated on a pitch-fest where I made my first effort to pitch a story idea to a rough, heavily-armed group of agents and publishers just waiting for the blood sacrifice, mwha. I intentionally flubbed it because I promised the fellow writer who went ahead of me I would: she was so nervous she was going to get "gonged" - yes, there was a gong and it was used often - that in order to settle her nerves I did so. I wanted to show her it was just a practice pitch - not a real one to worry over - and that you NEEDED to relax and let loose and unclench. Do it without the stress, you know? I wowed them with the first line anyway: "Aliens." hehe. ...what, you all never watched that bit with the pigeons from Disney's Bolt? 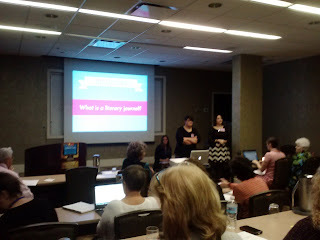 Past that there was lunch, and a session on how to tell the difference between novella and novel (hint: it's NOT entirely based on word count, but on the focus/complexity of the work). I sat in on the "Ask An Agent" session to see what the agents themselves suggest about looking for one and how to succeed. 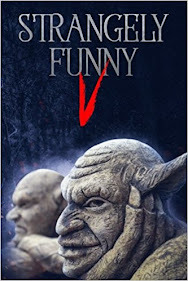 For myself, I'm kinda in the self-publishing stage for now. Once I get novels done - FINALLY done - I will do the legwork to get an agent to do the real legwork for a small-to-big market publisher. The day is finishing up now with a session on how to submit to the FWA-based writing contests and publications, and thence to the dinner hall. I documented the atrocities with photos. From the Lakeland Writers meetup group, here's Alison Nissen! 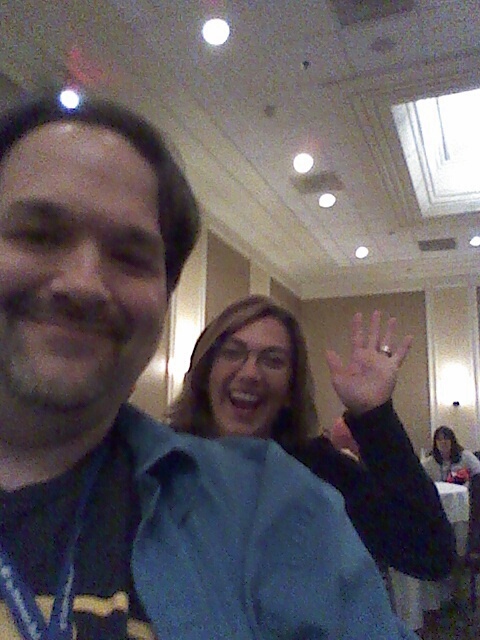 Just to note: Today I am at the Florida Writers' Conference in Altamonte Springs. This is my first time here, although not my first conference/convention. I am photographing and documenting the atrocities. More posts will follow. Anyway, I'm not the only soul accused of hit and run uh the only librarian to notice the request for books by blue covers! This is happening, people. IT'S BEEN HAPPENING FOR YEARS. 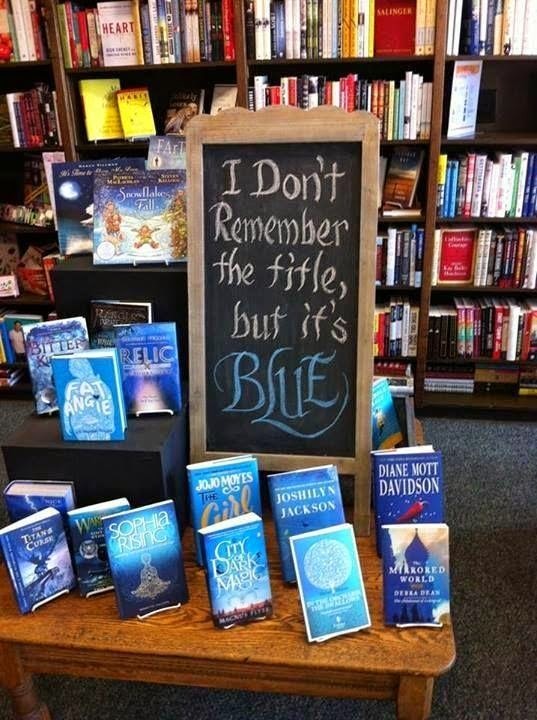 This was actually from Blue Willow Bookshop in Houston. 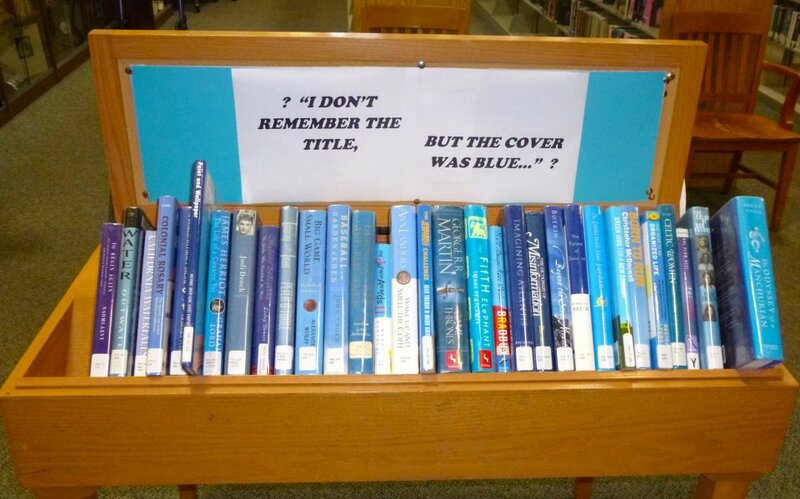 THERE ARE BOOKS WITH BLUE COVERS EVERYWHERE. I will be adding one more.